This week I made gingerbread cake. This is a very fun bake and I love the way that you have a runny mixture of black treacle, golden syrup and melted butter, and then you add the flour, spices and baking powder and it becomes like a wet dough mixture that turns into a cake. This is quite an easy bake and the cake is nice and not to gingery. 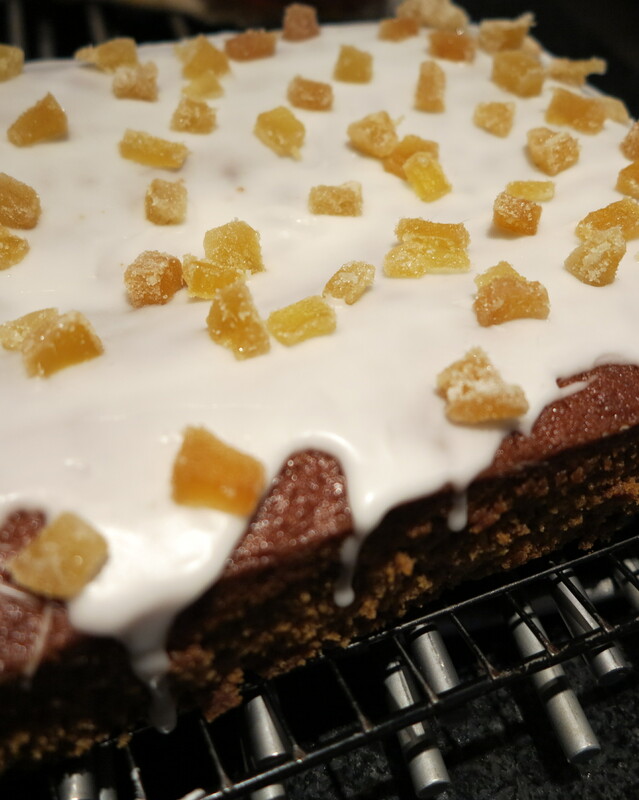 The water icing makes it look very pretty with the chopped crystallised ginger pieces on top.